An all in one colouring pack that features a print of your logo. 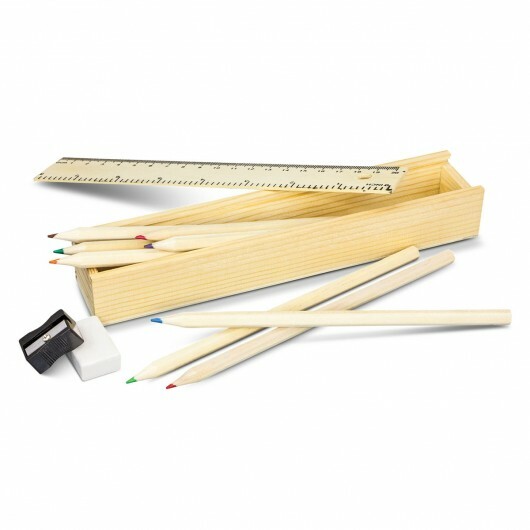 This set includes a set of 8 unpainted colouring in pencils a sharpener and an eraser in a natural wooden box - everything you need in one convenient pack! 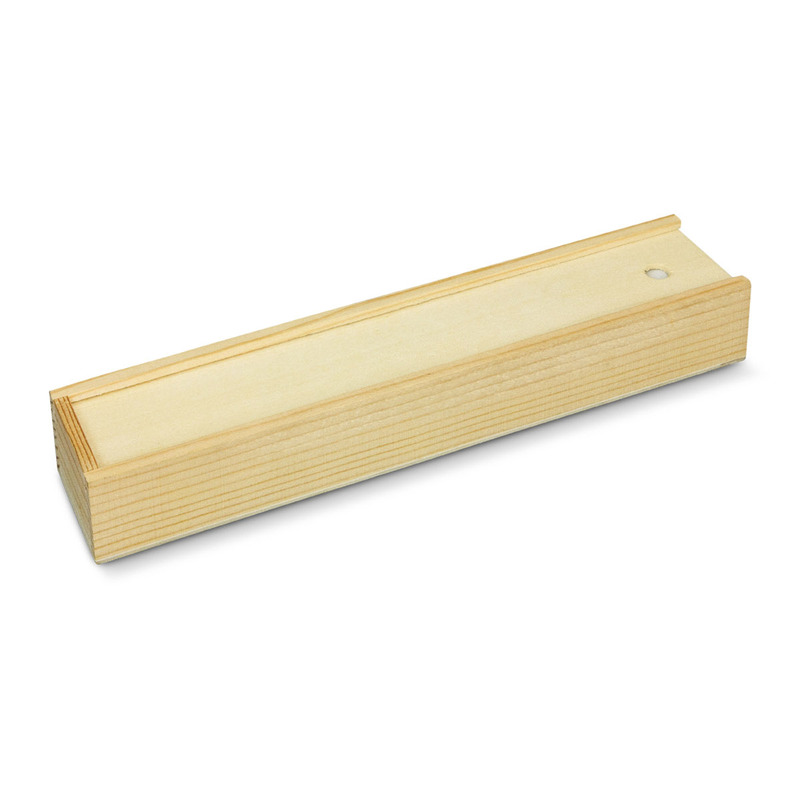 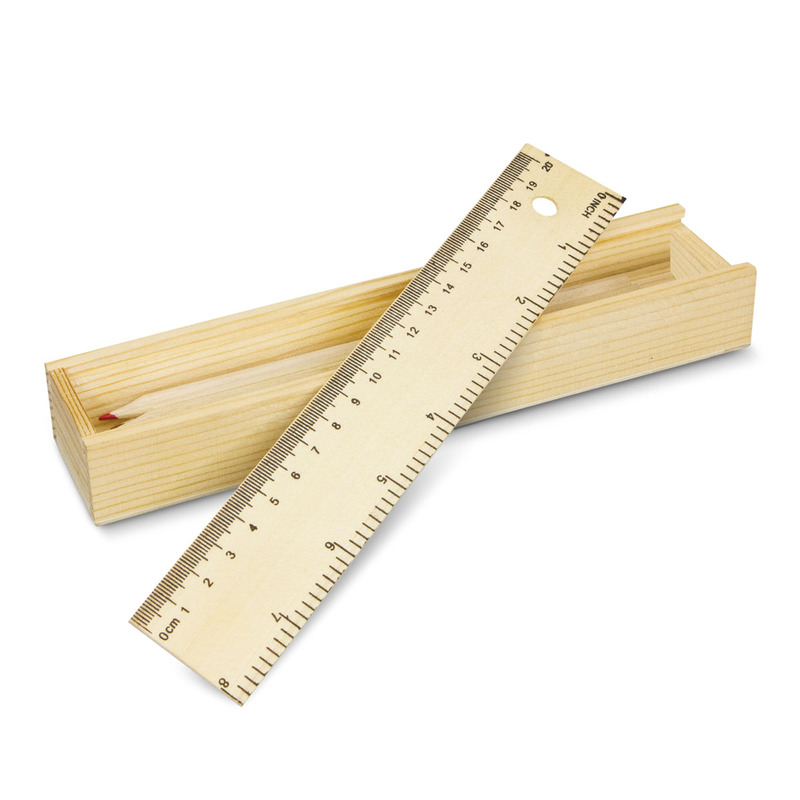 The box has a sliding lid which can also be used as a ruler with metric/imperial graduations. 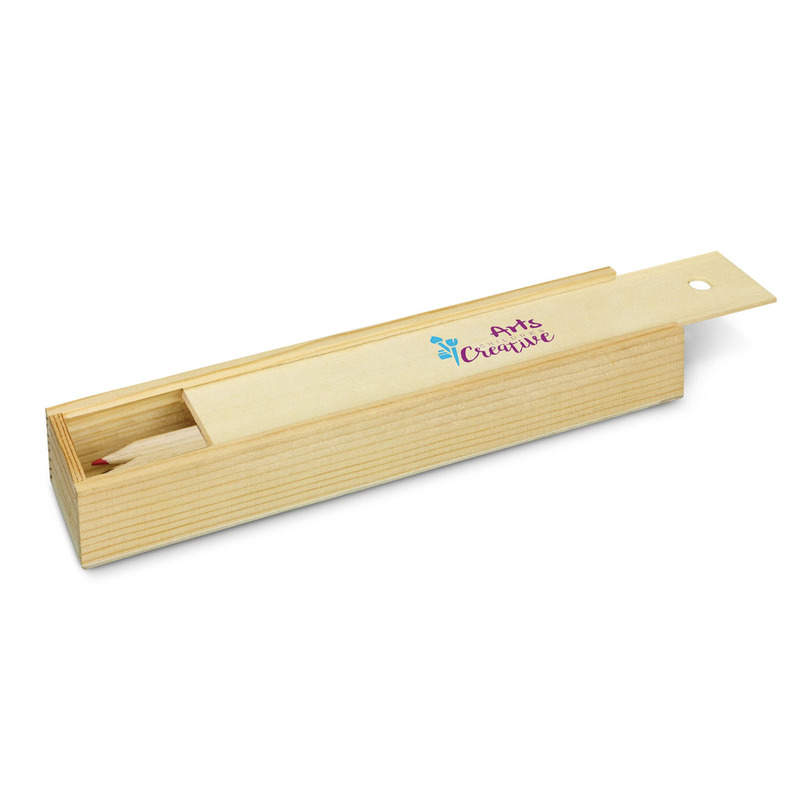 The perfect promotional items for both kids and adults.